Savant N.K. and S.K. De Datta 1982–Nitrogen Transformations in Wetland Rice Soils pp 241-303. 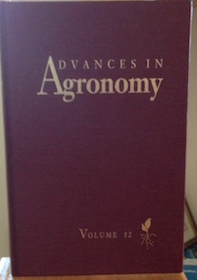 Advances in Agronomy, Vol 38, edited by N.C. Brandy, Academic Press, 1985. Sankaran S. and S.K. De Datta,–Weeds and Weed Management in upland rice–pp284-330. Advances in Agronomy, Vol. 45 edited by N.C. Brady, Academic Press, 1991–Buresh R.J. and S.K. De Datta 1991–Nitrogen Dynamics and Management in rice-legumes cropping systems pp2-52.